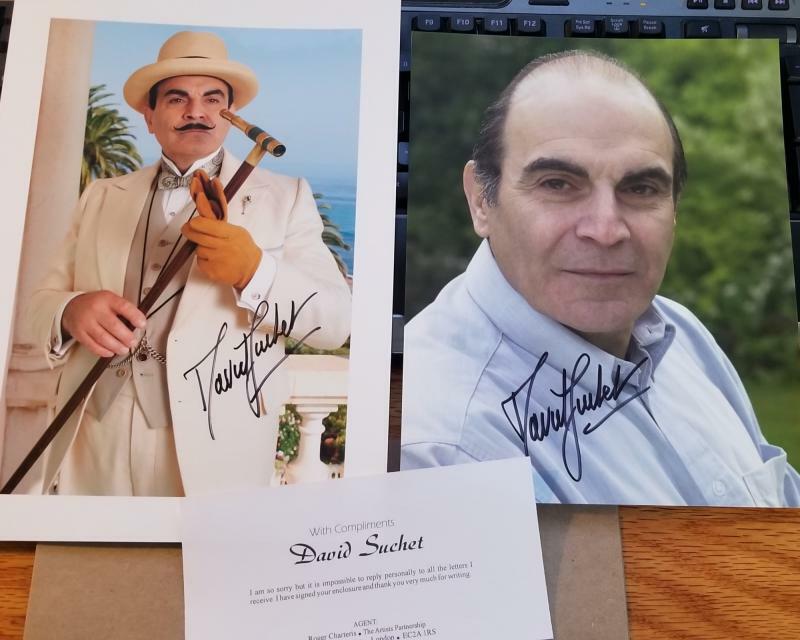 I mailed out a request for David's autograph with a personal letter January 29th, and Today I received the attached photographs and note. I am very very pleased and suprised, feeling really blessed. 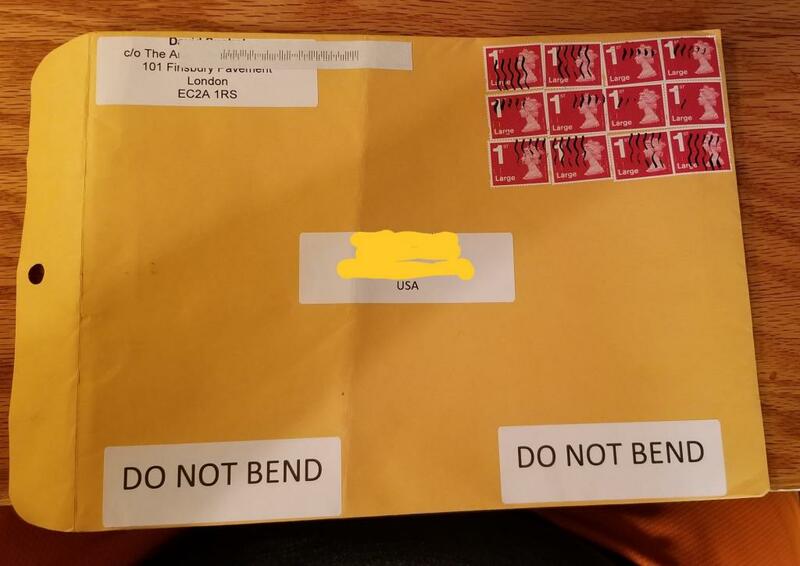 Below is the mailing address I used including a self addressed Stamped (British Postage) envelope with DO NOT BEND on it and inside I put hard cardboard piece! Last edited by usnavyveteran1977 on Mon Mar 25, 2019 4:43 pm, edited 1 time in total. 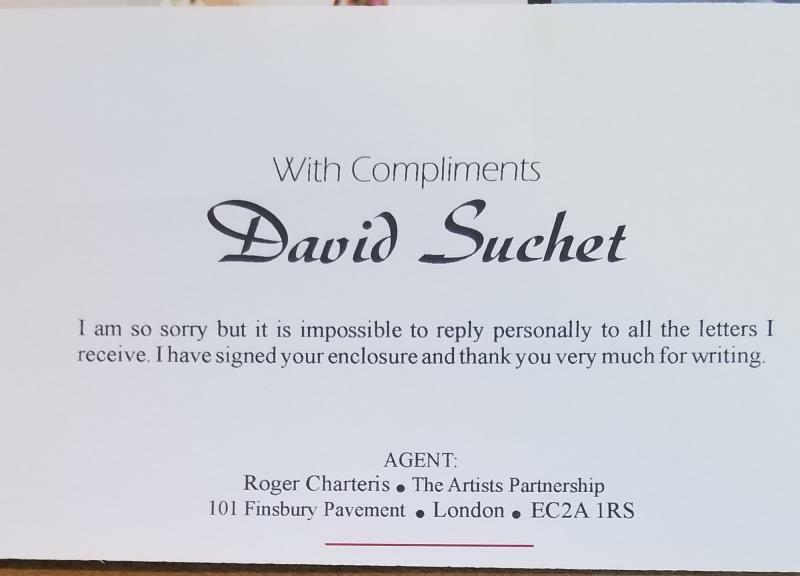 I did upload the envelope picture per your request.